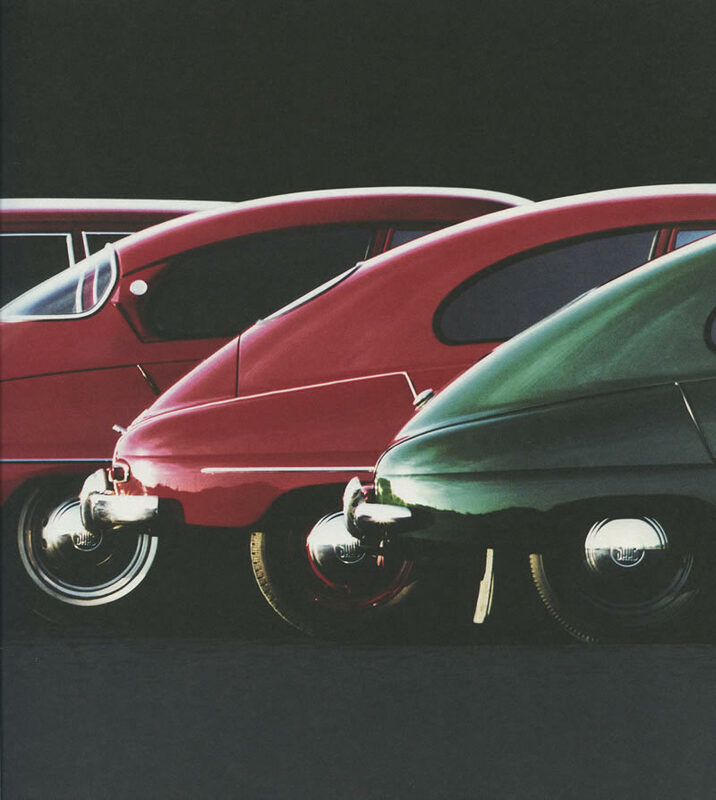 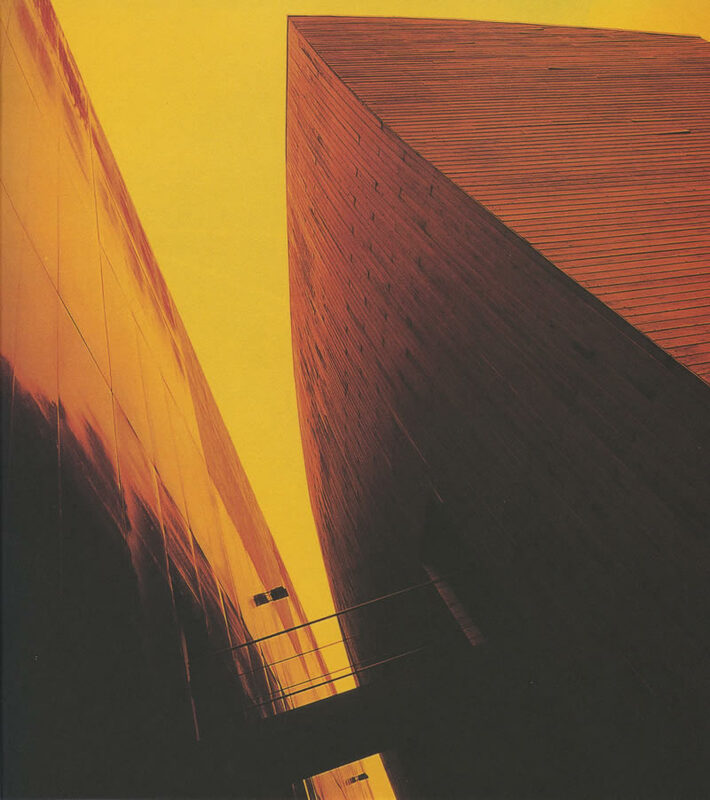 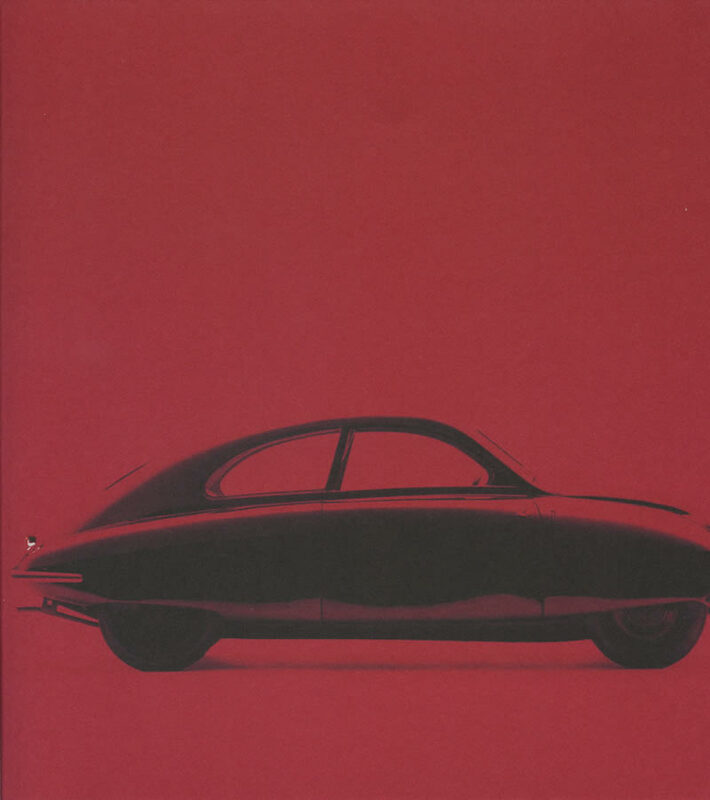 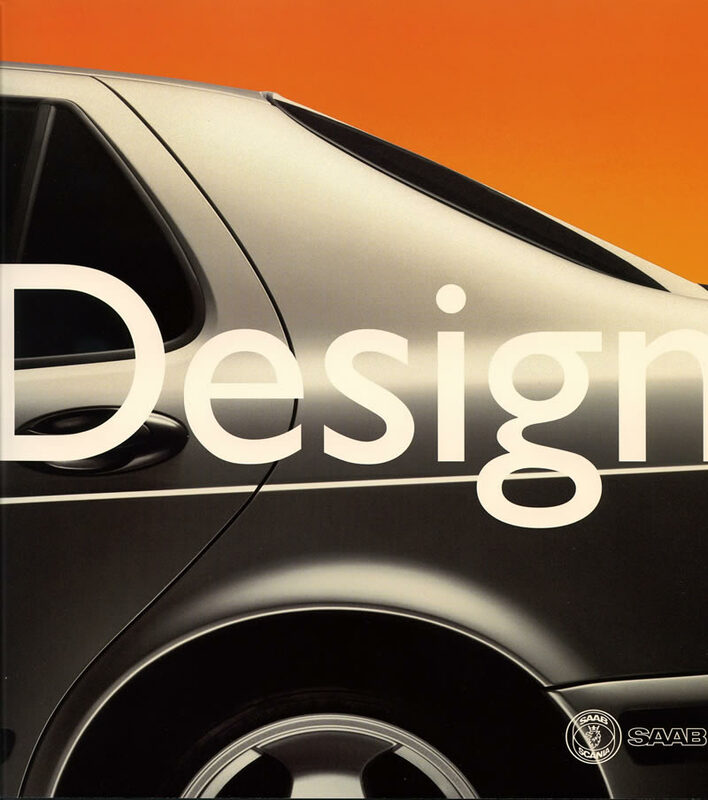 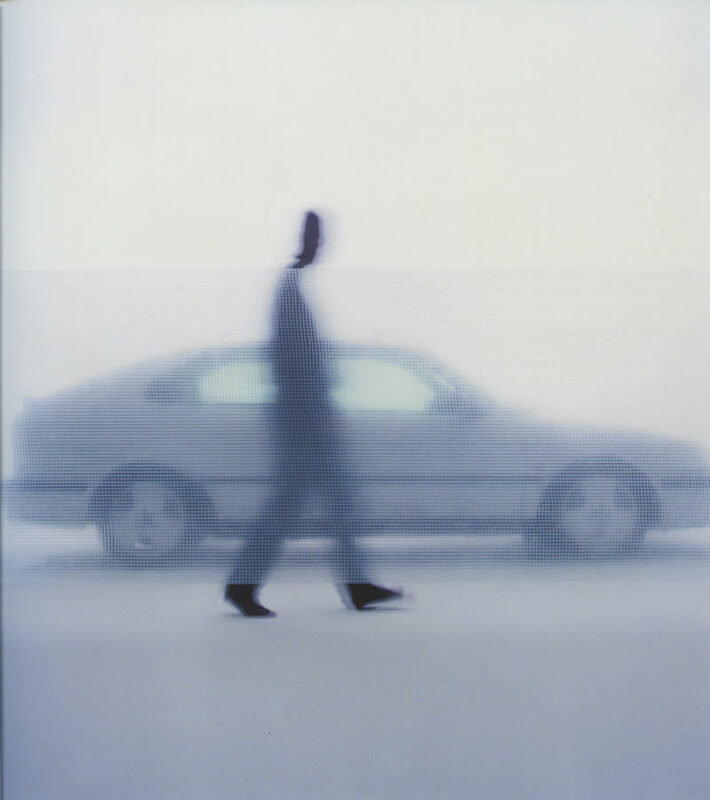 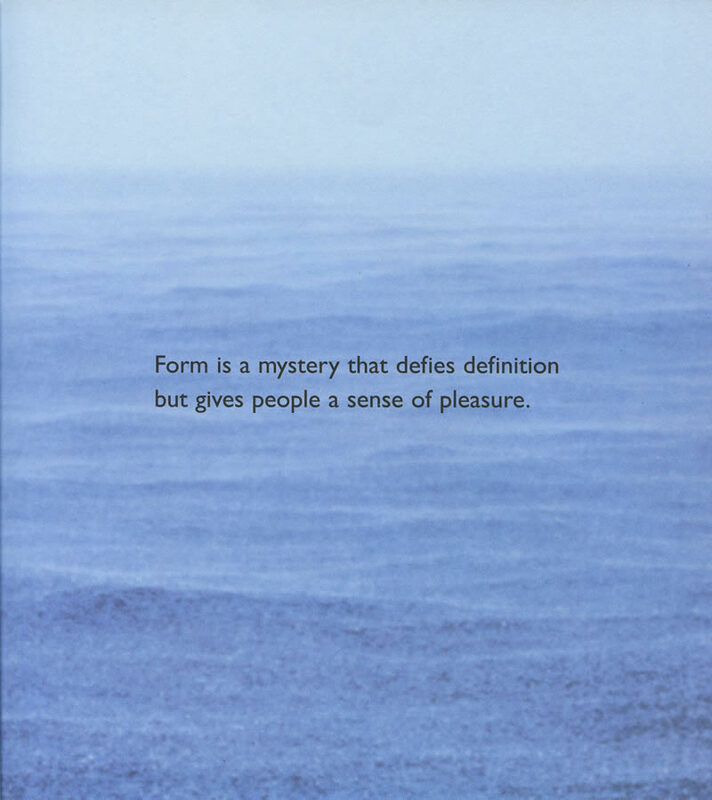 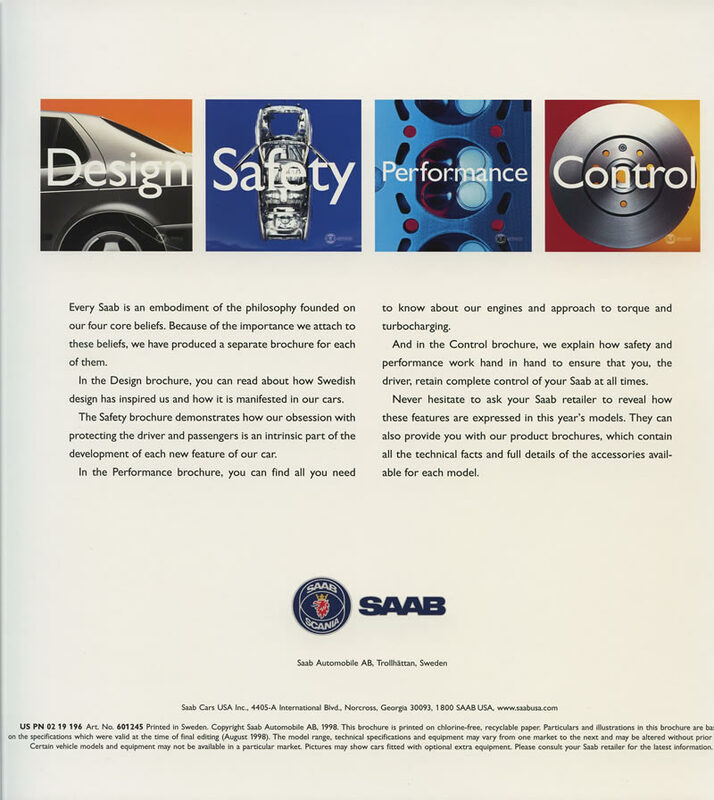 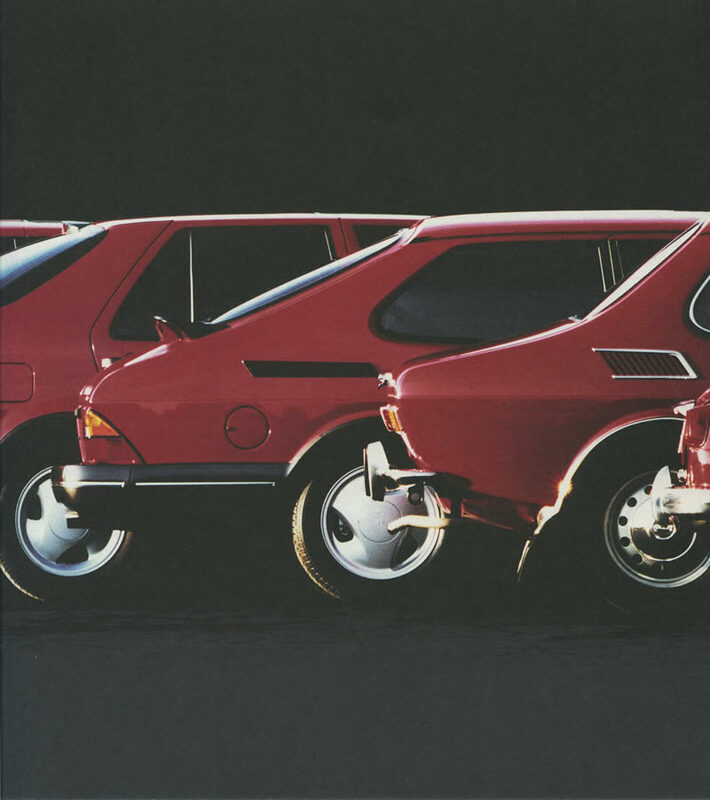 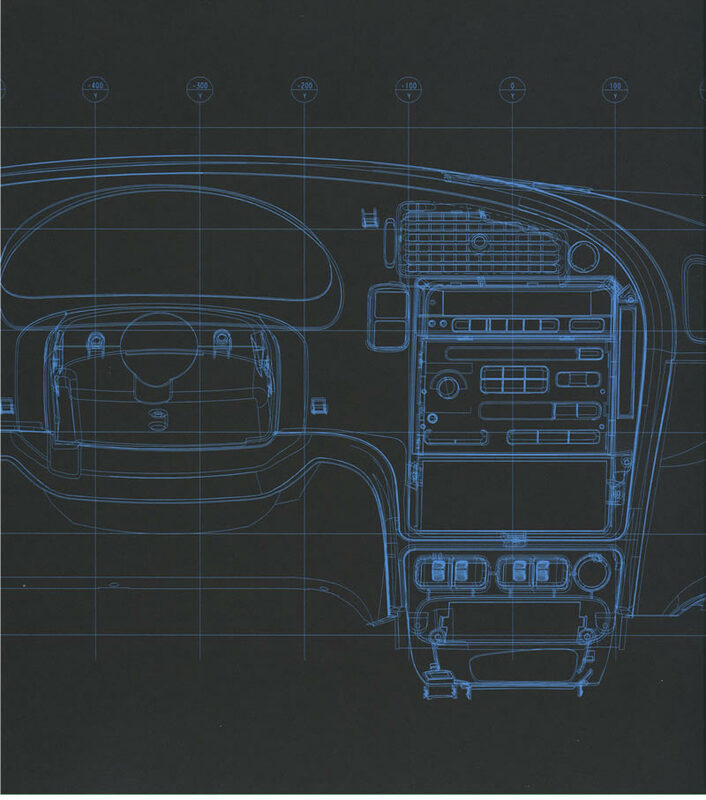 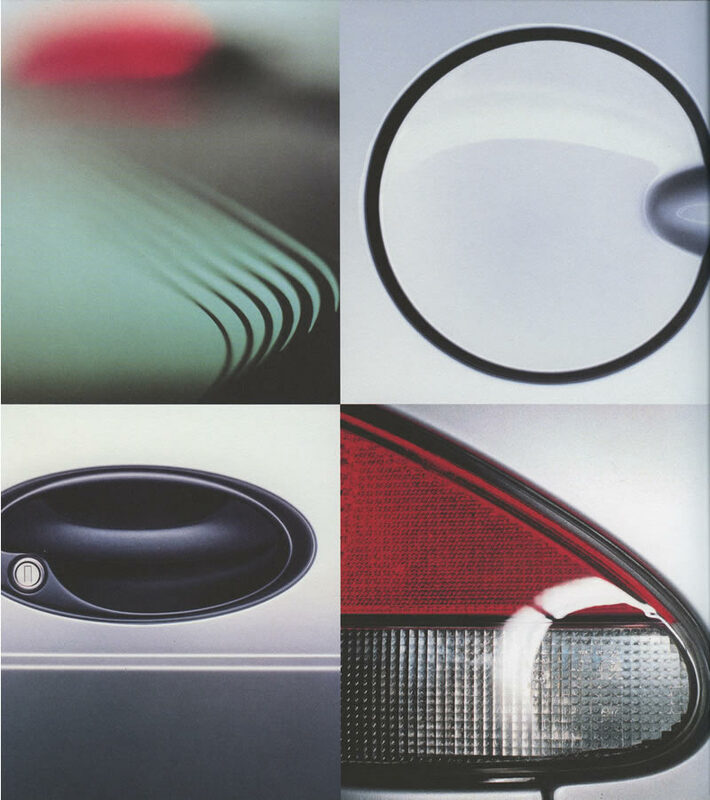 Saab Cars USA produced four brochures in 1998 in where they describe their four core beliefs for their cars: Design, Safety, Performance and Control. 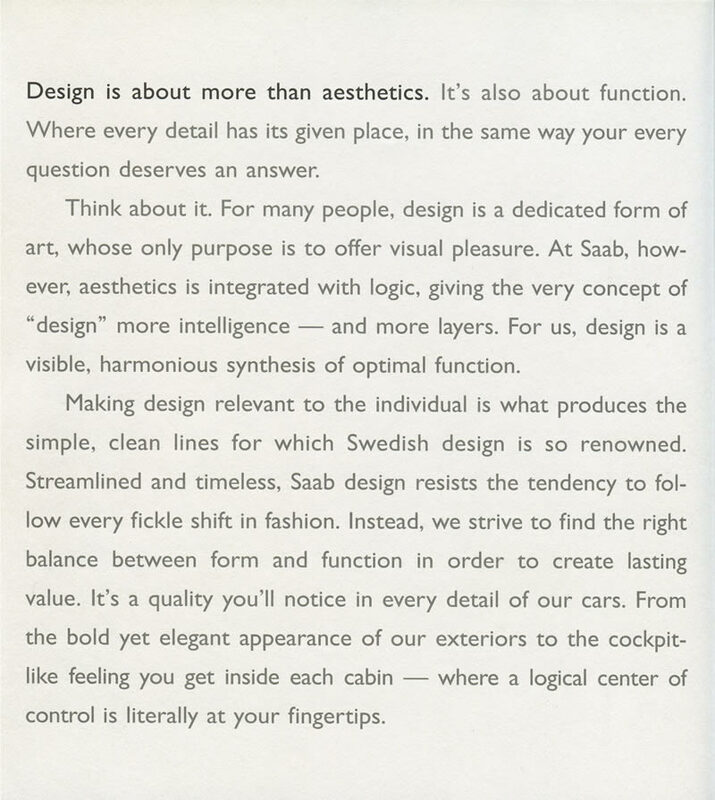 Every Saab is an embodiment of the philosophy founded on our four core beliefs. 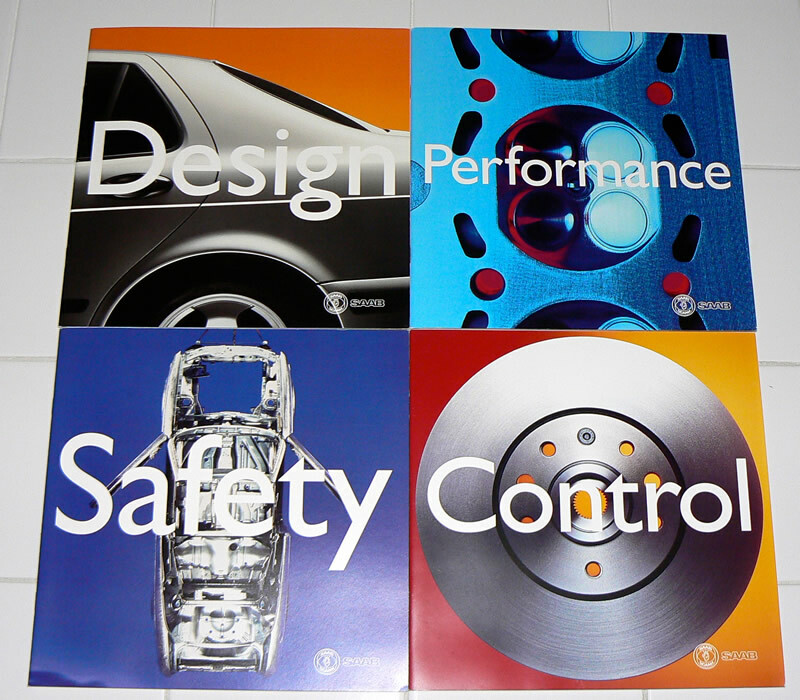 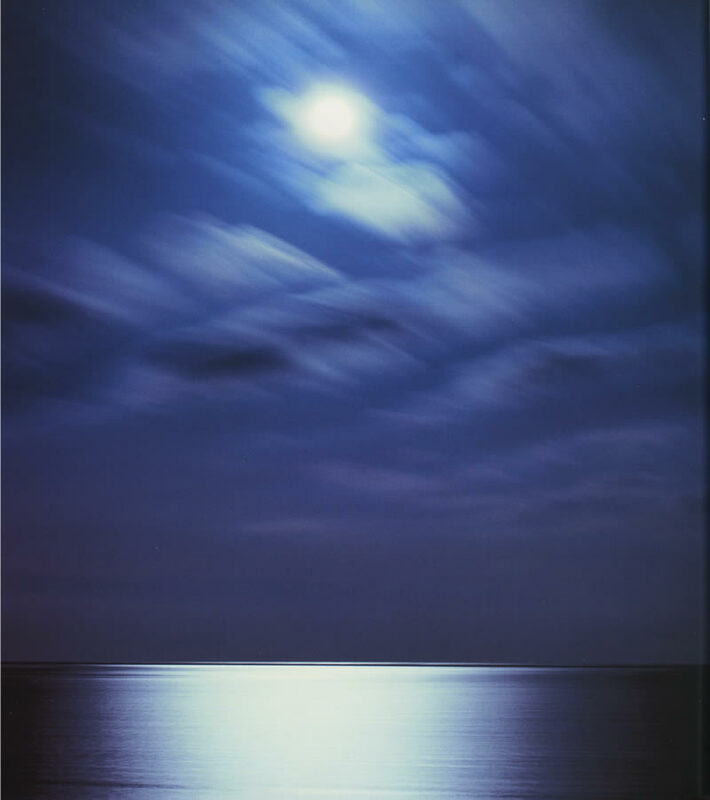 Because of the importance we attach to these beliefs, we have produced a separate brochure for each of them. 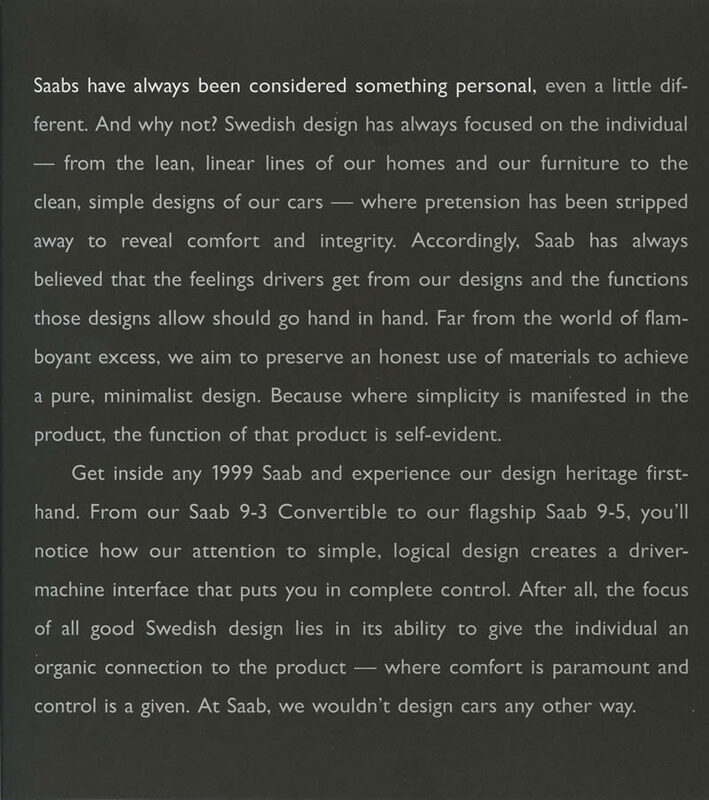 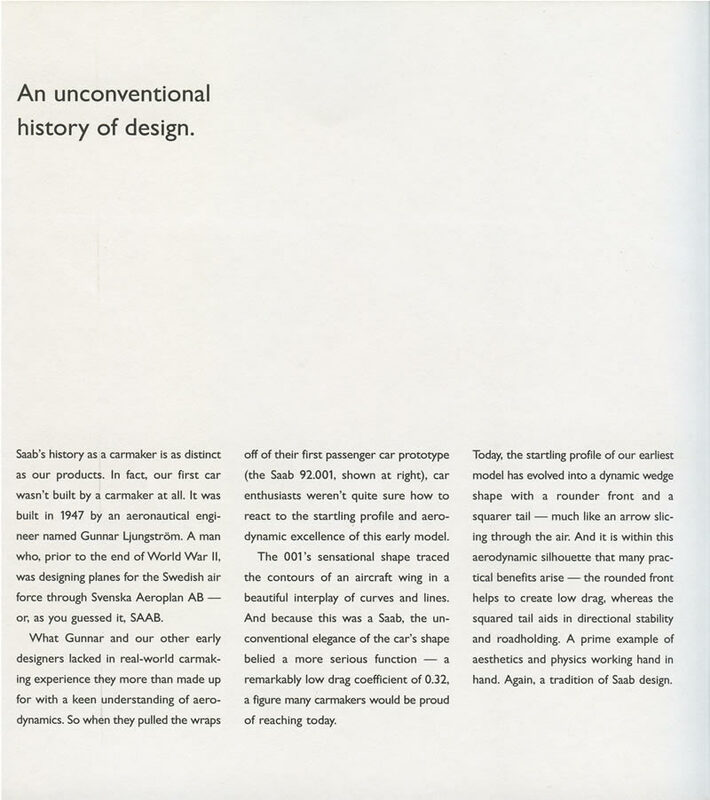 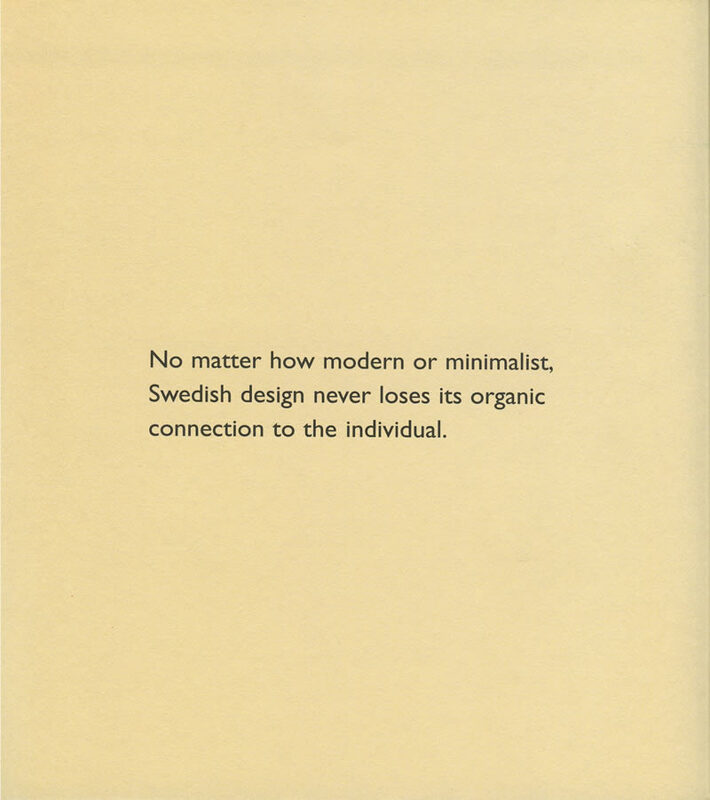 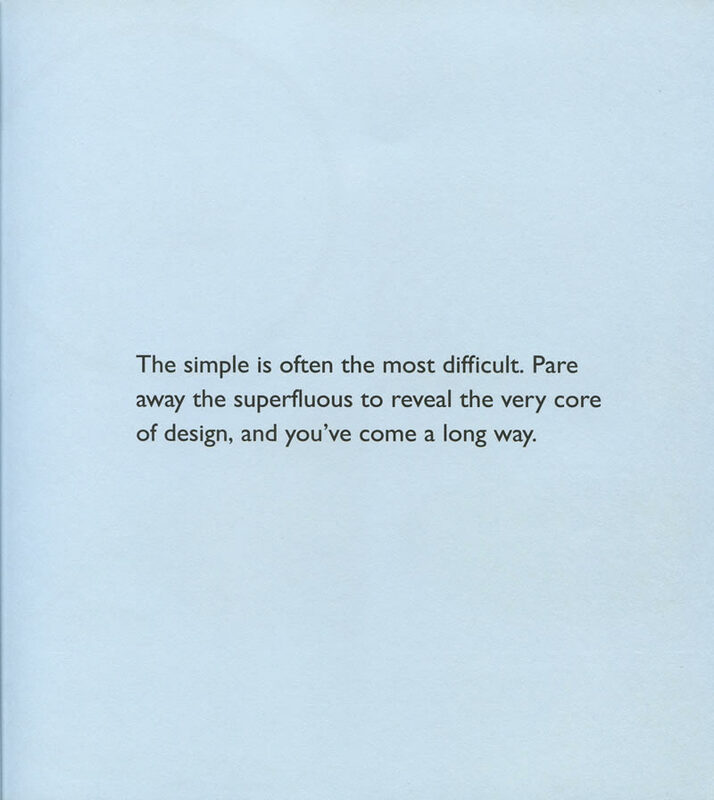 In the Design brochure, you can read about how Swedish has inspired us and how it is manifested in our cars. 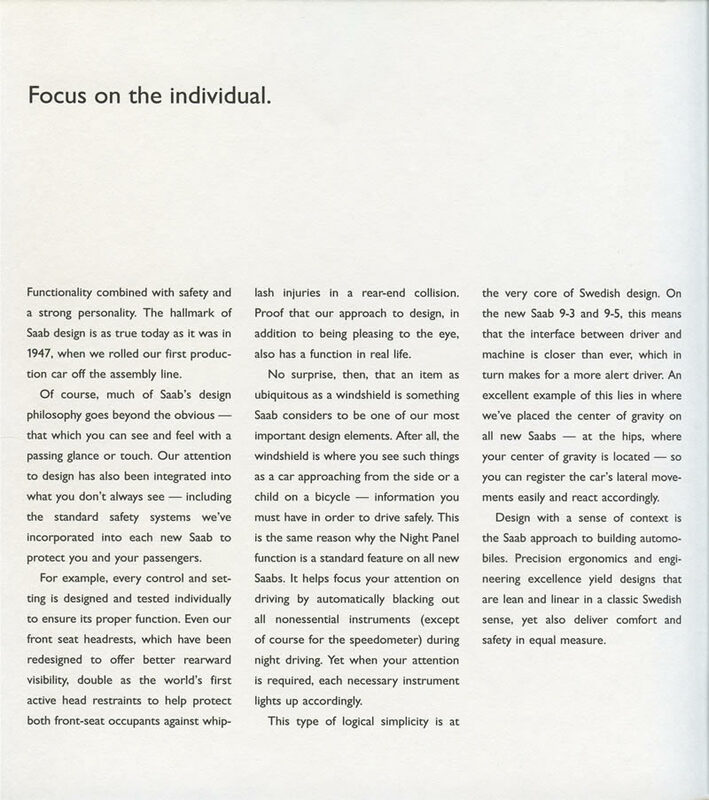 The Safety brochure demonstrates how our obsession with protecting the driver and passengers is an intrinsic part in the development of each new feature of our car. 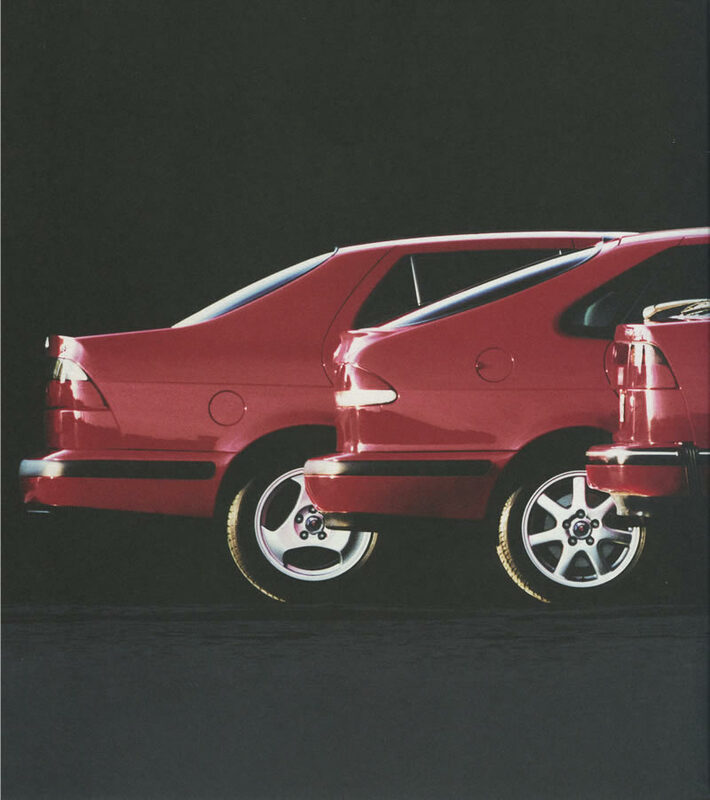 In the Performance brochure, you can find all you need to know about our engines and apporach to torque and turbocharging. 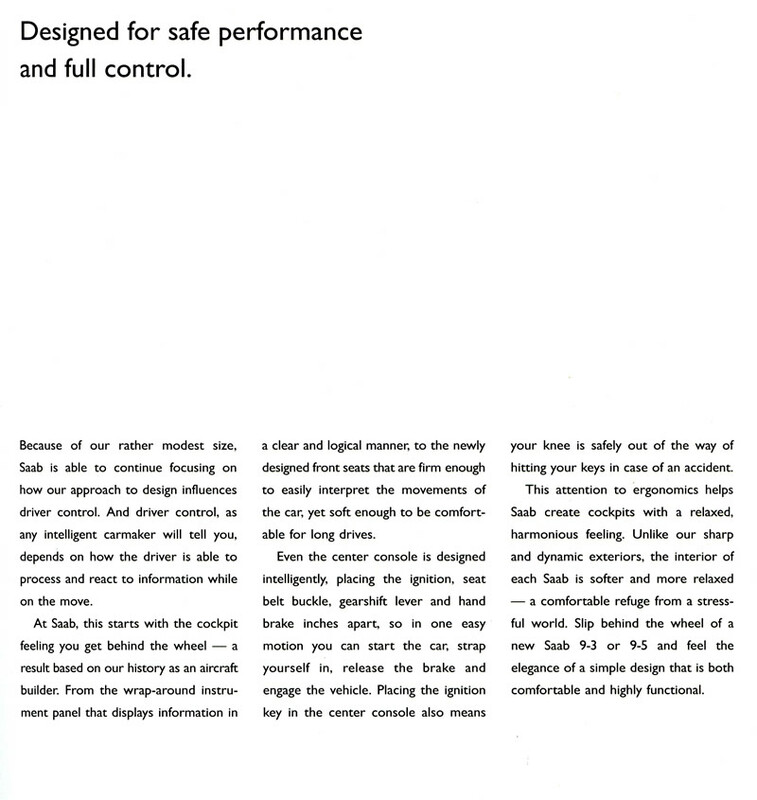 And in the Control brochure, we explain how safety and performance work hand in hand to ensure that you, the driver, retain complete control of your Saab at all times.